No matter how well you stick to your healthy eating plan this January...those cravings are going to try and tempt you! This High Protein Cheesy Nacho recipe is one of our favourite go-to recipes when you want a treat...without the unnecessary calories, fat content and high carbs. The key here is to use fresh ingredients, and switch up your cheese, because nobody likes a nacho dish without cheese on it! We've focused on low fat, high protein ingredients to create a healthy, wholesome version of a cheat day favourite. 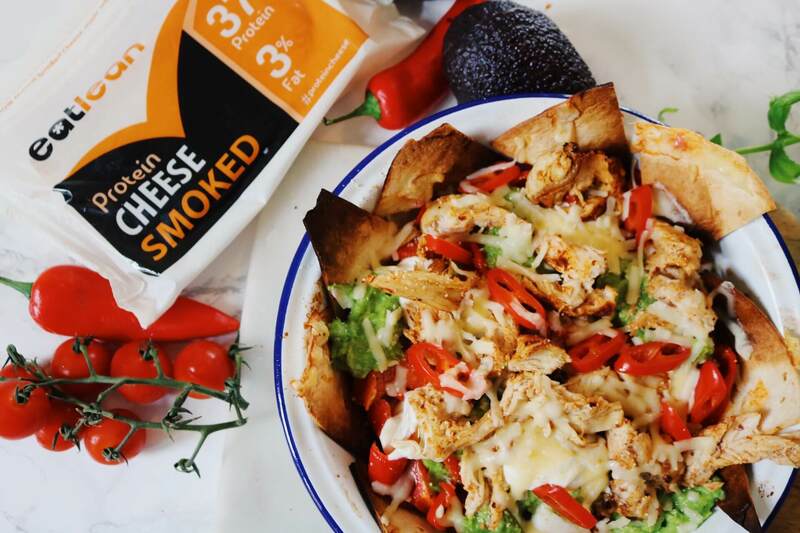 Eatlean Smoked - Our Eatlean Smoked Protein Cheese not only adds a whopping amount of protein to this dish without the high fat content, it also adds a whole lot of delicious smoked cheese flavour. Naturally smoked over oak shavings for 15 hours the extra hit of flavour goes a long way in this high protein recipe. It's a great alternative to a standard cheddar, with 90% less fat and 40% more protein. Eatlean Shaker Smoked - For that extra added protein hit! 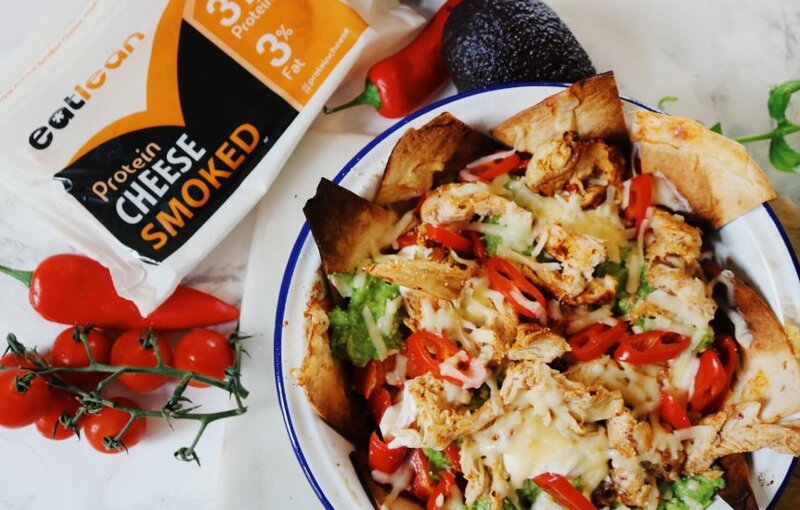 Our Eatlean Smoked Shaker cheese brings nutritional benefits AND adds real flavour & texture to your dishes, whether you preparing low carlorie meals, high protein meals, whatever your diet plan just sprinkle or blend in, a great topping to this nacho bowl! Dips - We chose to use fresh ingredients instead of high fat ready made dips. Opt for fresh avocado, tomatoes and a low fat creme fraiche as a great alternative. Top with avocado, tomatoes, creme fraiche and extra cheese! Enjoy…. Eatlean™ cheese is a high protein, low carb, cheese which has been developed specifically to help with weight loss and diet plans for a leaner healthier lifestyle. We grow by recommendation; please don’t keep us a secret!